So Fresh And So Clean: When the Seattle Storm open the 2019 WNBA season in May, they’ll look to defend their basketball championship by donning a new WNBA jersey. 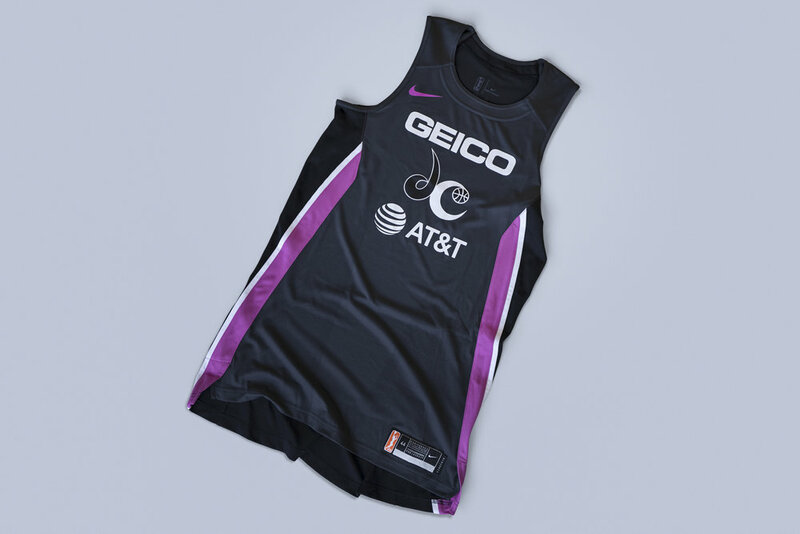 Nike announced this week teams will sport Nike Women’s Aeroswift uniforms for the 2019 WNBA season. On the morning of the WNBA Draft, the WNBA and Nike made their own jersey and uniform headlines and by the night, the WNBA Draft proved the perfect stage to make the big reveal. Notre Dame guard Jackie Young was selected No. 1 in the WNBA Draft by Las Vegas and immediately gave basketball fans a chance to see the Aces new jersey look for the upcoming season. 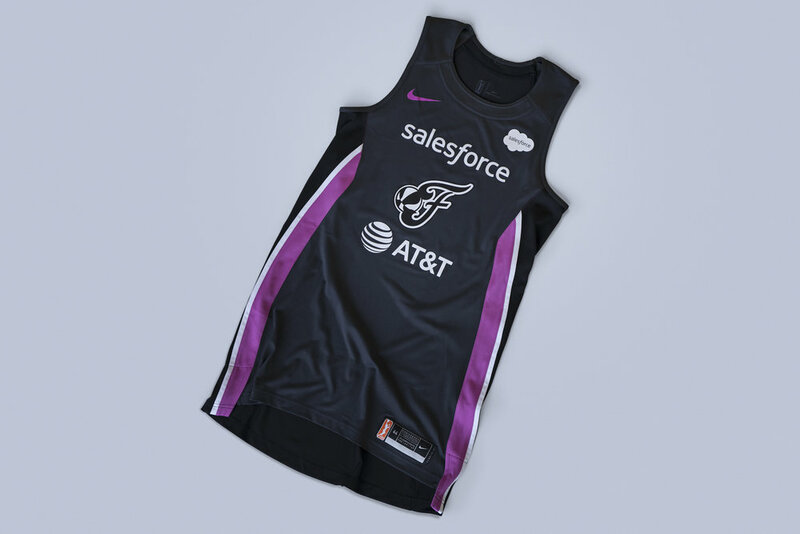 With the 2019 preseason tipping-off on May 9, the WNBA announced teams will sport Nike Women’s Aeroswift uniforms during the upcoming 2019 WNBA season. New Season, New Look: Selected No. 1 overall by the Las Vegas Aces, Notre Dame guard Jackie Young will be one of the WNBA players to sport the new Nike Women’s Aeroswift uniforms this season. This marks the second-year that the WNBA and Nike have collaborated on basketball jerseys and uniforms, making slight modifications from their Icon Edition (in primary colors) and Statement Edition (in secondary colors). New features on the jerseys will include player numbers only appearing on the back of the top while the front is reserved for larger team logos and sponsorship patches. The gear also features NIke’s trademark smoothness and advanced technology (temperature regulation) to ensure players are comfortable and perform at a high-level. Game Time: Nike focused on amplifying each teams’ primary and secondary colors to give each WNBA team a special look that includes women-specific scapula cuts on the jersey and vents on the shorts. Last May, the WNBA pulled back the curtain a bit on their jersey innovation from Nike as they gathered a lot of personal feedback and insight from players across the league in order to pinpoint the exact fit, cut, design, and materials to craft the Nike Women’s Aeroswift (a recycled polyester fabrication that is very lightweight and durable, and includes knitted yarns that wick away moisture) uniforms and to help reduce weight while improving breathability. It’s just a glimpse of the research, work, and care that Nike puts into making the WNBA jerseys and uniforms. In addition to the release of the 2019 season jerseys, the WNBA announced for the month of August that teams will host a “Breast Health Awareness” home game when players will wear a special-edition gray WNBA Breast Health Awareness uniform. It’s a classic look and style with a straight-forward purple, black, and white color combination. In the end, the WNBA and Nike come up with a big win to open the 2019 season.